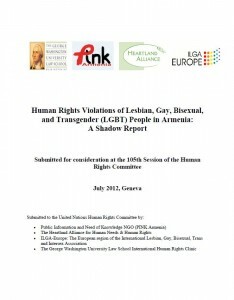 The report shows what violations the state has perpetrated in its interactions with LGBT people, the nature of rights violations that have been recorded in interactions with third parties, and the situation created as a result of the state’s failure to create equal opportunities and a safe environment for all. 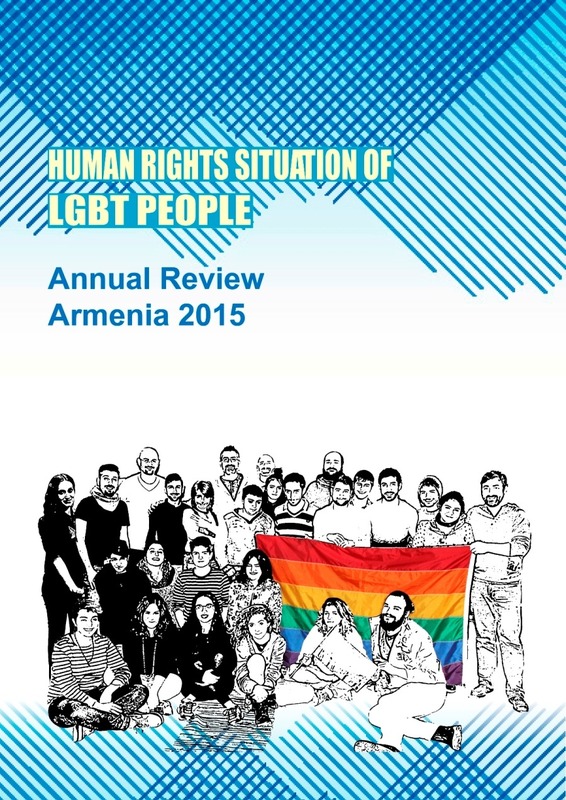 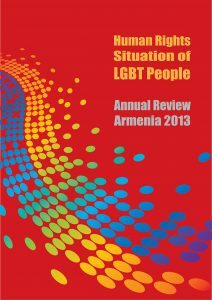 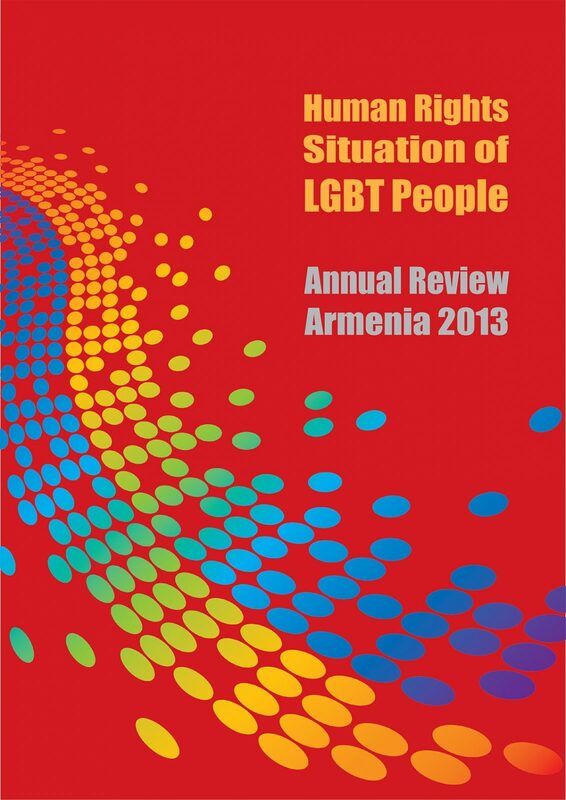 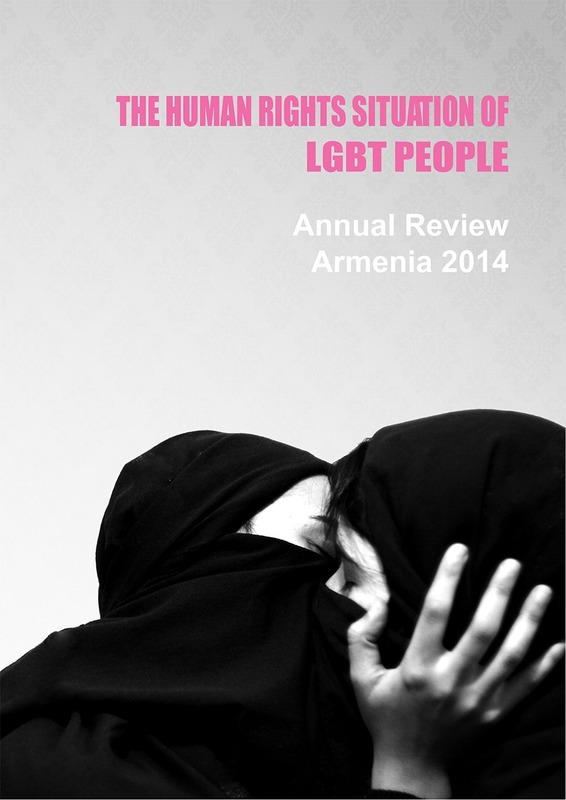 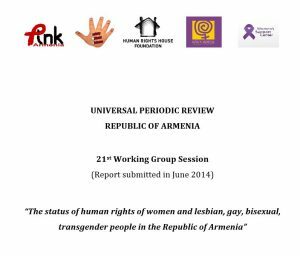 This report summarizes reported and documented cases of human rights violations during 2014 reported to PINK Armenia, records of interviews with LGBT people and data obtained from court cases, internet sources and studies of other reports. 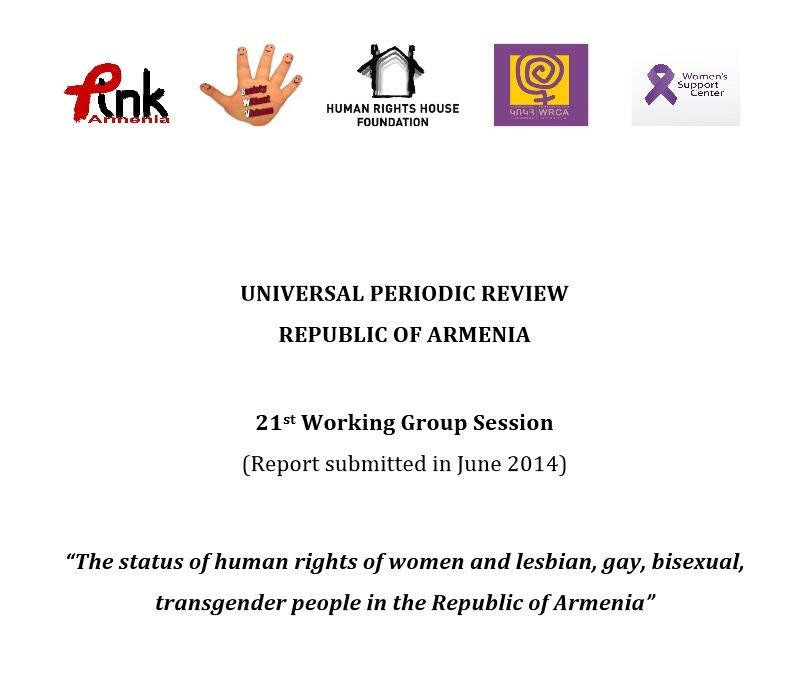 This report is a joint contribution to the 21st session of the UN Universal Periodic Review (UPR). 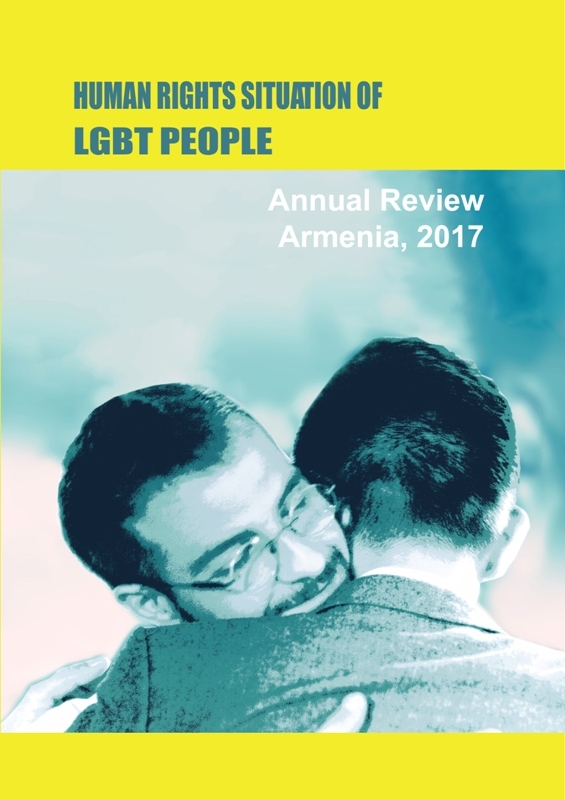 It was prepared by Public Information and Need of Knowledge, Society Without Violence, Women’s Resource Center and Women’s Support Center NGOs with the support of the Human Rights House Foundation. 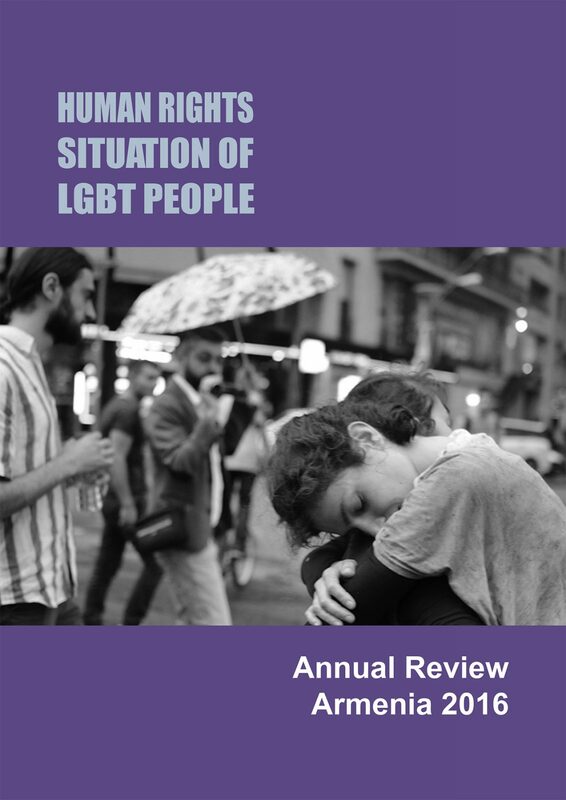 This report summarizes public and highlighted cases of human rights violations of LGBT people and subsequent events in 2013. 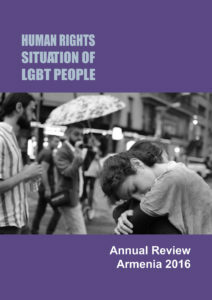 This report is a joint submission by the Public Information and Need of Knowledge NGO, the Heartland Alliance for Human Needs and Human Rights, ILGA-Europe: The European region of the International Lesbian, Gay, Bisexual, Trans and Intersex Association, and The George Washington University Law School International Human Rights Clinic to the United Nations Human Rights Committee on the occasion of its consideration of the State of Armenia’s implementation of the International Covenant on Civil and Political Rights (ICCPR) at the 105th session.